Investment Savings Bank, with offices in Altoona, PA and Duncansville, PA, offers area businesses efficient and effective commercial lending. 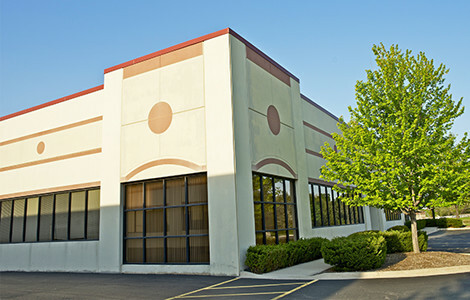 Enhance your company’s effectiveness in a variety of ways by obtaining the commercial loan you need for your business. Simply call ISB at (814)944-0843 in Altoona, or (814) 695-7551 in Duncansville, to find out more about applying for a commercial loan. Speak with an ISB lending officer in Altoona, PA or Duncansville, PA, and discuss how ISB may be able to help your business achieve its operating goals. Whether you need a lending product for short-term or long-term, our friendly lenders work hard to help area businesses achieve with the necessary funding for important projects. Business lending from Investment Savings Bank may be obtained to fund capital investments, make needed renovations, and more. Investment Savings Bank offers local commercial lending in Altoona, PA and Duncansville, PA. For more than 70 years, ISB brings area business the commercial lending opportunities that help them meet their needs in the marketplace. By achieving the mutual goals of working together, an ISB commercial loan is an effective and affordable way for your business to move forward with confidence. 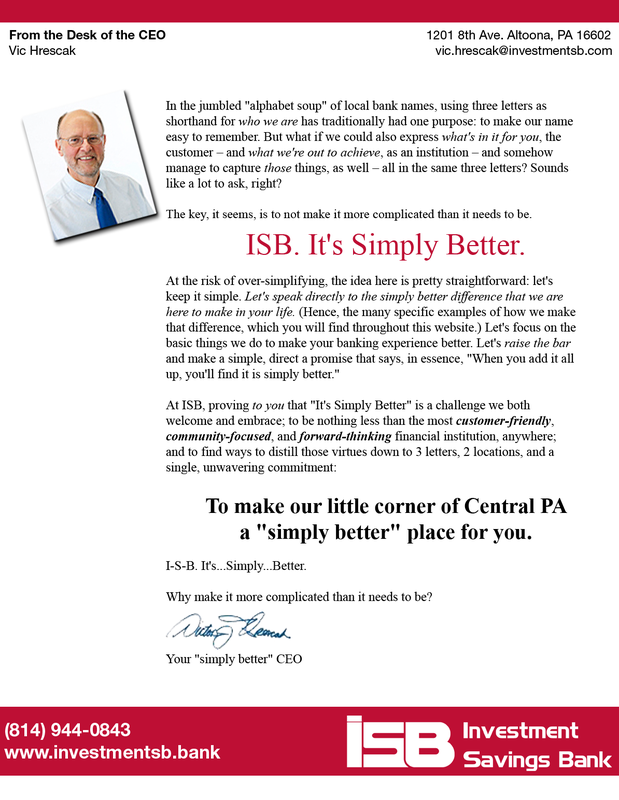 ISB welcomes inquiries from area businesses who are looking for optimal commercial loan rates in the Altoona, PA and Duncansville, PA region. Our banking professionals are on hand to assist businesses through the commercial lending process with products and great rates on commercial loans your business needs today.